MOAB was created in search for a “productive lure” for all species and field conditions. 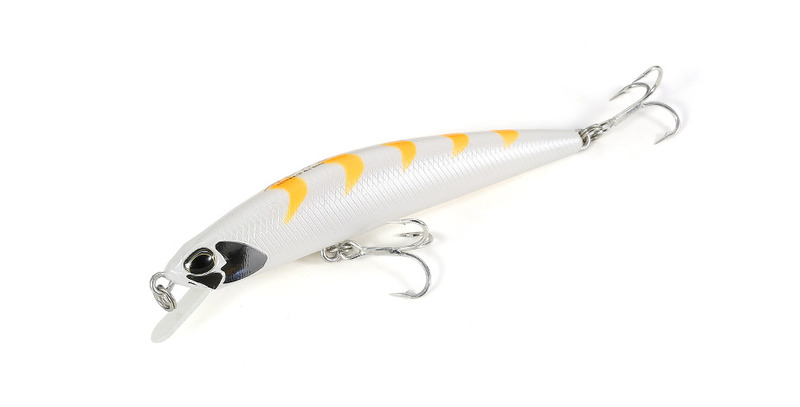 It is equipped with the top of the range initiation, sharpness, balance and water gripping ability sought out in a minnow, allowing anglers to manipulate it at their will. We have employed a circuit board for the lip material, giving the lure the sharp action and strength needed in the harsh field conditions. This has significantly increased its strength compared to the usual integrated lip on the body. The lure is designed to catch the water positively, giving it the swim balance even able to tackle the complicated flow of the main-stream for the trout game.